The VARIOKIT steel composite carriage is used for the fabrication of steel composite bridges with closed or open steel profile cross-sections. This is characterized by its high rigidity both in longitudinal and cross direction of the carriage. The steel composite carriage is moved via heavy-duty castors, which are fixed to seats on the steel structure. Since the heavy-duty castors have a steerable bearing, even small radii can be maneuvered without any problem. 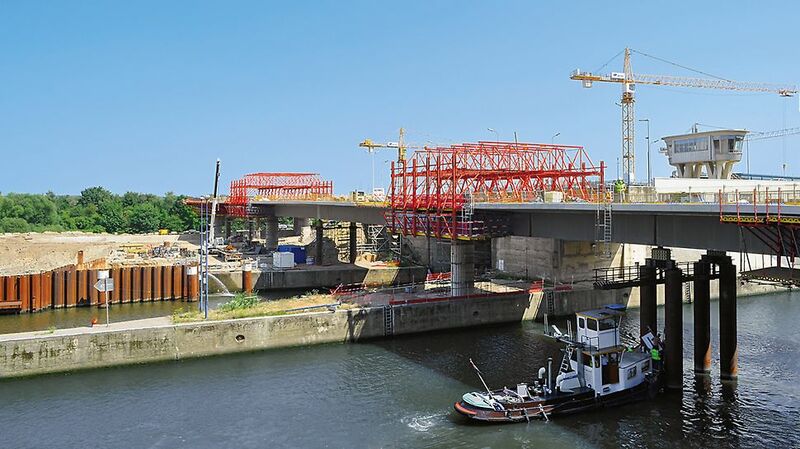 The basis for the formwork carriage is a longitudinal truss, consisting of main beams of the HD 200 system. The length can be adjusted modularly. The cross formwork units are assembled completely from VARIOKIT material, and so an ideal adjustment to the building geometries is possible. 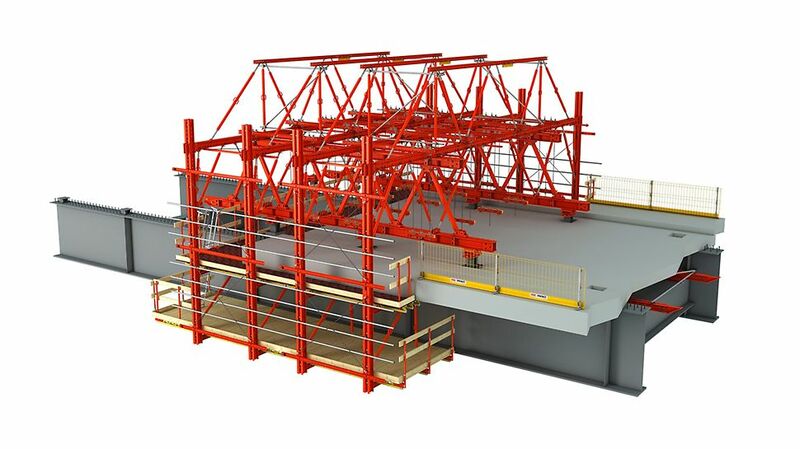 The influence width of the cross formwork units can be chosen freely with the VARIOKIT system. This means that the structural load on the material can be utilized optimally and this leads to very cost-effective solutions. Fast assembly is possible with the standardized bolt connection of the VARIOKIT engineering construction kit.